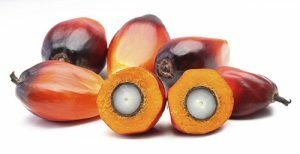 Gattefossé confirms its will to provide environmentally responsible cosmetic ingredients by adopting the Mass Balance RSPO (Roundtable for Sustainable Palm Oil) certification. Committed to promote the use of sustainable palm oil, Gattefossé has been a member of the RSPO organization since 2010 which supports cooperatives and producers of a sustainable palm oil. In 2016, to consolidate its position towards sustainability, the company decided to use 100% of RSPO products issued from segregated channels for its entire Lipocire ™ range and got a new certification for Lipocire ™ DM SG. This year, the group expands its commitment by adopting the Mass Balance (MB) grade for three of its products. This grade allows the combination of RSPO certified and non-certified palm oils at any stage of the supply chain, provided that all quantities are controlled at the company’s main production site in Saint-Priest (France). Since March 1st, three of our cosmetic ingredients, Emulium® Mellifera MB, Emulium® Delta MB et Acticire® MB, are certified with this new Mass Balance grade.